CLICK IMAGE TO ENLARGE. Rigobert Bonne (1727–1795), Isle de France, Nebenkarte aus: Partie de la cote orientale d’Afrique avec l’Isle de Madagascar et les cartes particulieres des Isles de France et de Bourbon. Projette et assujetie aux observations astronomiques, (Paris, 1791). Courtesy of Wikimedia Commons. On 31 December 1833 the merchant ship the Dart glided into Sydney Harbour, completing its long journey from the island of Mauritius in the Indian Ocean. The ship brought to the hungry and sweet-toothed mouths of the Colony of New South Wales substantial replenishments of sugar. In addition the brig also deposited a quite different sort of cargo in the form of three Mauritian convicts, registered on their arrival as Josephine Mary, Marcelin Louis and Nanine Paul. Josephine was recorded as being 38 years of age, married, Catholic, without education (unable to read or write), a washerwoman and needlewoman by profession, with five children (two male and three female). The records also reveal Josephine was pregnant. Presumably it was on this account that she ended up in the Female Factory at Parramatta rather than being immediately engaged for domestic service, which was the usual fate of transported female convicts — always in short supply in Australia’s penal colonies. It was the Dart’s first consignment of convicts, but not its last; on depositing these three, the brig returned to Mauritius and completed another voyage to Sydney the following year, bringing more sugar and four more convicts. What do we know of these transported Mauritian convicts, especially Josephine? Only the sparest details can be gleaned from the descriptions contained in the convict indents, but existing scholarship on the history of Mauritian convict transportation allows us to fill in some of the gaps. James Bradley and Cassandra Pybus’s work on the case of Constance Couronne and Elizabeth Verloppe, two young Mauritian slave girls who were among the Dart’s second consignment of convicts, allows us to make some inferences about Josephine’s experiences. And the recent doctoral project into Mauritian convicts transported to Australia conducted by Eilin Friis Hordvik of the University of Tasmania offers further clarification. Indeed, by comparing the dates and basic facts of the case listed in the New South Wales convict indent records with judicial records in the Mauritian archives, it seems that the “Josephine Mercelin” who arrived in Sydney in 1833 is the same as “Joséphine Ally,” a free Mauritian Creole tried by the Mauritian courts alongside a “Marcelin Currac,” a freed slave, and another individual recorded only as “Hypolite,” apparently a runaway slave. Arrested early in the morning of 17 February 1833 along with her husband and a group of runaway male slaves (maroons), Josephine was tried by the court of Port Louis (Mauritius’ main town) for harbouring maroons and receiving stolen goods of considerable value (gold and silver watches, jewellery and gemstones, fine china, furniture, clothing and tools). In their testimonies documented in the trial records, the runaway slaves placed Josephine at the heart of this operation — a role that would earn her a substantial penalty. In the end the Mauritian court found Josephine and Marcelin (aka Louis Mercelin) guilty of receiving stolen goods and sentenced both to seven years’ transportation to New South Wales. CLICK IMAGE TO ENLARGE. “Old Slave Creoles,” in Nicholas Pike, Sub-tropical Rambles in the Land of Aphanapteryx. Personal Experiences, Adventures, and Wanderings in and Around the Island of Mauritius, (New York: Harper & Brothers, 1873), p. 210 via Internet Archive. Courtesy of Snell Library, Northeastern University. In almost every way Josephine was atypical among the convicts transported to Australia. Most obviously, she was not transported from the British Isles, which placed her in a tiny minority — estimated as at most three per cent. Between 1817 and 1840, only around 100 Mauritian convicts were transported to Australia, and only seven of them were female. As a woman, too, of course, she was in the minority of transported convicts. Being a married woman convicted of a relatively serious crime placed her further in the minority. Female convicts transported to Australia tended to be young women who were first-time offenders sentenced for minor theft, and around two out of three transported female convicts were unmarried. Physically, we can assume that Josephine would have stood out to some extent at least: her record describes her as follows: “complexion copper colour, black hair, eyes dark brown.” Whether her appearance led to discriminatory treatment in the Colony of New South Wales is open to question, though the findings of Pybus and Bradley relating to the relatively favourable experiences of the two young Mauritian slave girls transported shortly after Josephine suggests that discrimination of this kind was not ubiquitous. Certainly, Josephine, like all non-English-speaking transported convicts, would have been marginalised linguistically. Unlike the majority of the non-English-speaking women around her, she was not an Irish-speaker. While the presence of British officials—some of them the very same people who had served in positions of authority in Mauritius—and the diverse linguistic and cultural make-up of Mauritius may have prepared her somewhat for the society to which she was transported, ordinary communication for Josephine must have been a constant struggle. And one can only imagine the feelings of isolation she would have felt in an entirely unfamiliar environment, separated from her five children (four of whom were dependents) and her language and customs. Documents conserved in the Mauritian archives reveal the lengths Josephine and Louis went to before their departure to try to keep their family together: with the help of a scribe they wrote to the colonial authorities, appealing to be allowed to take their two youngest children (then aged four and fourteen months) with them. Their application was denied on the grounds that the New South Wales authorities would not allow the children entry to the colony. The two older children, aged thirteen and fourteen, were entrusted to the couple’s eldest child, Marie Estelle, a young mother herself, who agreed to find them placements in trades. Most significantly Josephine was distinguished from other female convicts in New South Wales for having been transported from the slave society of Mauritius for offences which constituted an organised attempt to undermine the island’s socio-economic and racial hierarchy. With the growing wave of anti-slavery campaigning in the British Empire, the early nineteenth century was a time of acute tension not only between Franco-Mauritian planters and their slaves, but also between the largely French-speaking Mauritian population and the British imperial administrators who officially governed the island. 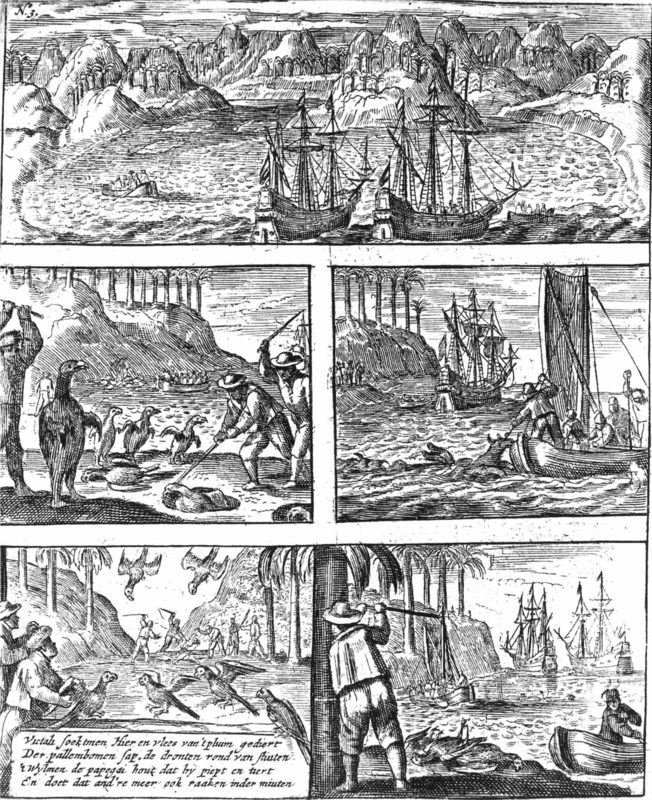 First claimed in the seventeenth century by the Dutch, who gave Mauritius its name (after Prince Maurice of Nassau) and introduced slaves (the island had no indigenous inhabitants), the severe challenges of climate (cyclones) and slave desertions eventually compelled the Dutch to withdraw, but not before they had extracted all of the ebony resources and hunted and consumed the island’s native bird, the dodo, to extinction. 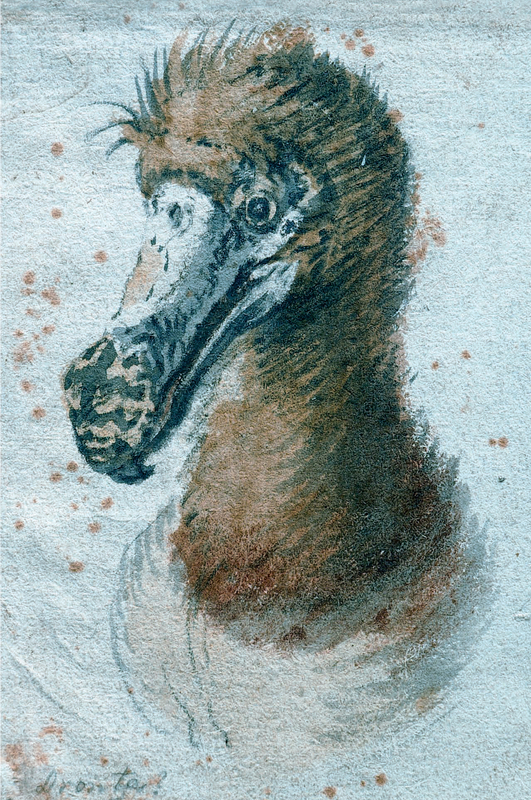 Cornelis Saftleven, “Saftleven Dodo,” (c.1638), [Public domain]. The painting is housed at Boijmans Museum in Rotterdam. Courtesy of Wikimedia Commons. 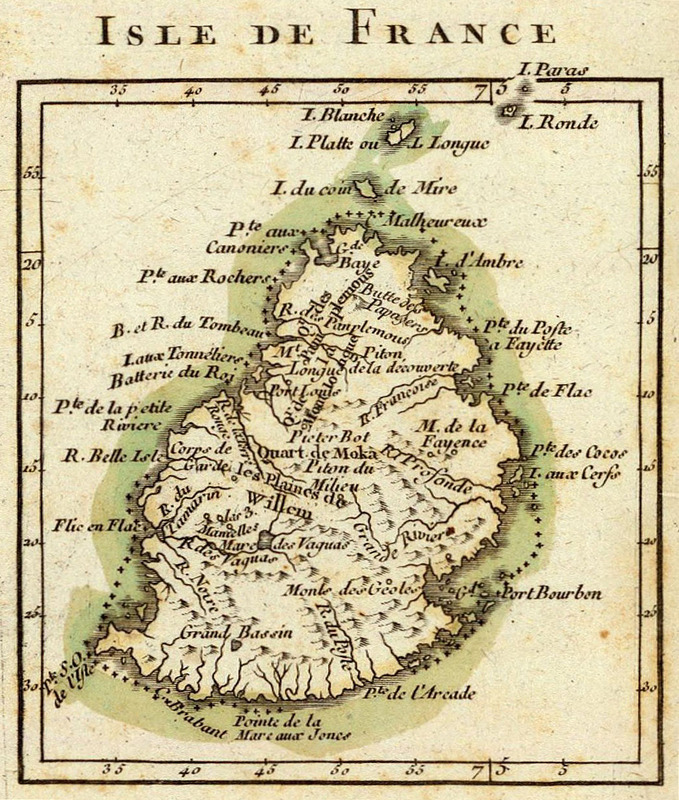 In the eighteenth century Mauritius was then claimed and renamed Isle de France by the French, who had already claimed neighbouring Bourbon Island (Reunion) in 1638. From 1721 until 1810 Mauritius received more than 100,000 slaves from East and West Africa, India, Madagascar and Southeast Asia. The majority of them arrived between 1770 and 1810. The French grew spices, coffee, vanilla and sugar cane for export, but the lack of developed infrastructure hampered the scale of growth. More than a source of export produce, Mauritius was a vital point for trading routes. During the Napoleonic Wars the island was captured by British forces and was formally incorporated into the British Empire in 1814. With around 70,000 slaves, Mauritius was the third largest population of slaves in the British Empire, after Jamaica and Barbados. This relatively small, but well-positioned island in the Indian Ocean was a valuable addition to Britain’s imperial portfolio. Its loss was a blow to France’s global dominance, which had already been weakened by the rebellion in Saint Domingue (Haiti) that had definitively cast off French rule there in 1804. Into the nineteenth century France would seek to recoup its lost grandeur by claiming territory around the world, including parts of North Africa, Southeast Asia and the South Pacific. In many respects, Britain would serve as a beacon for France’s imperial endeavours; inspiring the French, for instance, to transport convicts to French Guiana and New Caledonia. Upon taking control of Mauritius, the British had attempted to shore up support for their governance and prevent a rebellion by slaves by bending to the demands of the established Franco-Mauritian planters; the British agreed to respect existing French law, property and religion. This made Mauritius in effect an anomalous colonial holding; at once a part of the British Empire, but with a French legal system in place and a general culture of tolerance for established customs. English was the official language, but the Mauritian legal system adhered to the French. With very few English-speakers among the inhabitants of the island and with French-Mauritians in the judiciary, Mauritian trials and records under British rule were overwhelmingly conducted in French. In recognition of this the penal code in 1838 was published in both French and English and this tradition continued until 1865. Only in 1841 did an Order in Council stipulate that all ordinances and proclamations should be printed in English and as of 1847 it was an official legal requirement that all criminal proceedings be conducted in English. From 1853 all criminal procedure was undertaken according to British law. Into the 1850s visitors to the imperial holding remarked on Mauritius’ decidedly un-English character: Reverend Patrick Beaton, for one, observed that “Mauritius is in feeling, manners, and almost in language, as much a French colony as it was fifty years ago, and every Englishman resident in it feels himself a foreigner in a British colony.” An article printed in The Australian newspaper on 16 December 1845 offered a profile of Mauritius, making mention of the multiplicity of legal systems in place: “The vernacular language is still French, but English is beginning to be generally cultivated. The civil law is based upon the once famous ‘code Napoleon’ modified in many cases by ‘orders in Council,’ issued from the supreme government; and by ‘ordinances’ emanating from the local legislature. The ‘Criminal Code’ is a revision of the French Code by the British authorities, and is at the present time undergoing a second revisal [sic] to render it more conformed to the humane principles of British criminal law.” The transportation of Indian convicts to Mauritius between 1815 and 1837, who were set to work largely on infrastructural work for sugar production, not only further increased the linguistic and cultural diversity of Mauritius, it also added to the complexity of judicial procedures: those Indian convicts who committed offences while under sentence and appeared in court required courtroom interpreters to help facilitate. It was in the early 1830s, precisely the period in which Josephine was transported, that moves were starting to be made to bring Mauritius’ system of justice into alignment with British legal traditions. The 1830s were also the period when the British Empire took decisive action against slavery; legislation emancipating slaves throughout the British Empire was passed in August 1833, coming into effect twelve months later. In February 1835 Mauritian slaves were officially freed, but, in an effort to stymie potential rebellion and placate slave-owners, they remained tied to their owners through a system of apprenticeship. The French planters in Mauritius held such sway over the British administrators, who feared a slave revolt of the sort that erupted in Demerara in August 1823, that they were ever tentative in how hard they pushed, retarding the entry of Mauritius into the abolition debate. Having put up a strong resistance to emancipation, planters in Mauritius eventually negotiated a settlement of two million pounds (which amounted to ten per cent of the entire compensation fund for the British Empire) for the release of their slaves. The generosity of the payout was condemned by some in London. By 1839 “final and complete emancipation” of slaves in Mauritius had been declared. Unsettled by the idea of employing former slaves as free workers, Mauritian planters imported hundreds of thousands of workers from India on indenture contracts. Their numbers were so significant that by 1861 Indians accounted for 62 per cent of Mauritius’ population. CLICK IMAGE TO ENLARGE. Frontispiece of Patrick Beaton, Creoles and Coolies; or, Five years in Mauritius, (London: J. Nisbet, 1859) via Internet Archive. Courtesy of Robarts Library, University of Toronto. By sentencing Josephine to transportation, the judicial authorities would have intended to send a strong message of deterrence to others who might be tempted to do similar. Josephine may have escaped penalty of death for her crime, but being transported resulted in the same fate: arriving on New Year’s Eve, 1833, Josephine lived only a few short months in the Colony of New South Wales, dying in the Parramatta Female Factory less than six months later. What became of the child she was carrying on board ship, we can only speculate. Her burial in St John’s parish, Parramatta, on 6 June 1834 was officiated by the Anglican minister Robert Forrest, who two years earlier had founded the King’s School. It is likely that the virulently anti-Catholic Reverend Samuel Marsden refused to conduct the burial for Josephine on account of her Catholic faith. As for Josephine’s husband Louis, records indicate that he went on to experience a longer period of settlement in Australia. Granted a ticket-of-leave in January 1838, a year later he applied for permission to marry Mary Lees, a free migrant who had come to the colony with her husband but been left a widow. The application was refused by the assessing clergyman, Peter Francis Murphy, on the grounds that Louis was “a Married man not a widower.” In October 1840 Louis received a certificate of freedom and finally in 1865 he died — more than three decades after Josephine. In 1834, the year of Josephine’s death, 4,920 convicts departed the British Isles bound for Australia — the largest number recorded. Josephine was one of only a small number of Mauritians transported to Australia, and of these an even smaller number of females. But her story is a reminder of the intersecting lives of convicts, slaves, and imperial administrators and the global entanglements of New South Wales with the Indian Ocean world in the first half of the nineteenth century. CLICK IMAGE TO ENLARGE. 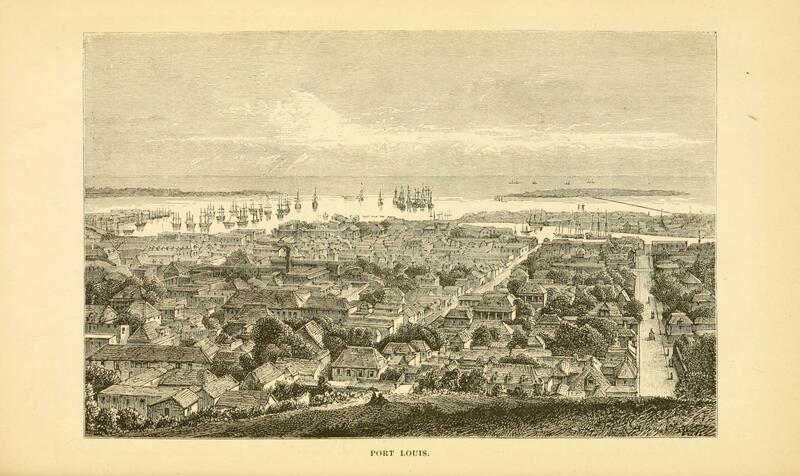 “Port Louis,” where Josephine lived, was tried, convicted, and sentenced to seven years transportation, in Nicholas Pike, Sub-tropical Rambles in the Land of Aphanapteryx. 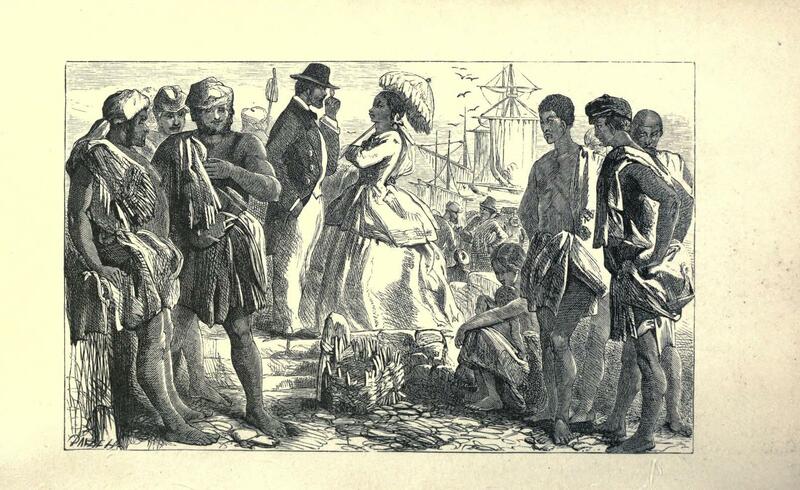 Personal Experiences, Adventures, and Wanderings in and Around the Island of Mauritius, (New York: Harper & Brothers, 1873), p. 57 via Internet Archive. Courtesy of Snell Library, Northeastern University. John Addison and K. Hazareesingh, A New History of Mauritius, rev. ed. (London: Macmillan, 1984). Richard B. Allen, “Capital, Illegal Slaves, Indentured Labourers and the Creation of a Sugar Plantation Economy in Mauritius, 1810–60,” The Journal of Imperial and Commonwealth History, Vol. 36, No. 2 (2008): 151–170. Richard B. Allen, Slaves, Freedmen and Indentured Laborers in Colonial Mauritius (Cambridge: Cambridge University Press, 1999). Clare Anderson, Subaltern Lives: Biographies of Colonialism in the Indian Ocean World, 1790–1920 (Cambridge: Cambridge University Press, 2012). Clare Anderson, “Unfree Labour and Its Discontents: Transportation from Mauritius to Australia, 1825–1845,” Australian Studies, Vol. 13, No. 1 (Summer, 1999): 116–133. A. J. Barker, Slavery and Antislavery in Mauritius, 1810–33: The Conflict between Economic Expansion and Humanitarian Reform under British Rule (Houndmills: Macmillan, 1996). James Bradley, “The Colonel and the Slave Girls: Life Writing and the Logic of History in 1830s Sydney,” Journal of Social History, Vol. 45, Issue 2 (2011): 416–435. James Bradley and Cassandra Pybus, “From Slavery to Servitude: The Australian Exile of Elizabeth and Constance,” Journal of Australian Colonial History, Vol. 9 (2007): 29–50. Edward Duyker, “Mauritians,” Dictionary of Sydney, (2008), http://dictionaryofsydney.org/entry/mauritians, accessed 9 January 2019. Edward Duyker, Of the Star and the Key: Mauritius, Mauritians and Australia (Sylvania: Australian Mauritian Research Group, 1998). Eilin Friis Hordvik, (PhD Diss. ), “Mauritius – Caught in the Web of Empire: The Legal System, Crime, Punishment and Labour, 1825–1845,” (Hobart: University of Tasmania, 2016), https://eprints.utas.edu.au/23447/1/Hordvik_whole_thesis.pdf, accessed 9 January 2019. Briony Neilson, “The Paradox of Penal Colonization: Debates on Convict Transportation at the International Prison Congresses 1872–1895,” French History and Civilization, Vol. 6 (2015): 198–211. Usually the Dart transported coal from Newcastle to Sydney, but with demand for coal at a low in the early 1830s, the ship shifted to conveying the sugar for which there was high demand. James Bradley and Cassandra Pybus, “From Slavery to Servitude: The Australian Exile of Elizabeth and Constance,” Journal of Australian Colonial History, Vol. 9 (2007): 30. New South Wales Government, Bound manuscript indents, 1788–1842, NRS: 12188; Item: 4/4018; Microfiche: 689, (State Records Authority of New South Wales, Kingswood, New South Wales, Australia). It is customary in French recordkeeping to list a person’s surname first. Here I will refer to Mary Josephine as “Josephine” and Marcelin Louis as “Louis”. New South Wales Government, Annotated printed indents (i.e., office copies), NRS: 12189; Item: X635; Microfiche: 707, (State Records Authority of New South Wales, Kingswood, New South Wales, Australia). James Bradley notes the “many contemporary descriptions of the hectic, almost desperate, scramble for the services of newly arrived female convicts.” James Bradley, “The Colonel and the Slave Girls: Life Writing and the Logic of History in 1830s Sydney,” Journal of Social History, Vol. 45, Issue 2 (2011): 419. Eilin Friis Hordvik, (PhD Diss. ), “Mauritius – Caught in the Web of Empire: The Legal System, Crime, Punishment and Labour, 1825–1845,” (Hobart: University of Tasmania, 2016), p. 104. Eilin Friis Hordvik, (PhD Diss. ), “Mauritius – Caught in the Web of Empire: The Legal System, Crime, Punishment and Labour, 1825–1845,” (Hobart: University of Tasmania, 2016), p. 72. Leslie C. Duly, “‘Hottentots to Hobart and Sydney’: The Cape Supreme Court’s Use of Transportation, 1828–38,” Australian Journal of Politics & History, Vol. 25, No. 1, (1979): 39–50. Marie Jones, From Places Now Forgotten: An Index of Convicts Whose Places of Trial were Outside the UK and Ireland, rev. ed. (Cardiff, NSW: Marie Jones, 2005). Edward Duyker, Of the Star and the Key: Mauritius, Mauritians and Australia (Sylvania: Australian Mauritian Research Group, 1998), p. 35. Deborah Oxley, Convict Maids: The Forced Migration of Women to Australia (Cambridge: Cambridge University Press,1996), pp. 42–48. Kay Daniels, Convict Women (St. Leonards: Allen & Unwin, 1998), p. 53. New South Wales Government, Annotated printed indents (i.e., office copies), NRS: 12189; Item: [X635]; Microfiche: 707, (State Records Authority of New South Wales, Kingswood, New South Wales, Australia). Bradley and Pybus note the disorientation that Creole-speaking Elizabeth and Constance clearly experienced on arrival in New South Wales – documentation notes their inability to communicate with the bureaucrats processing them. James Bradley and Cassandra Pybus, “From Slavery to Servitude: The Australian Exile of Elizabeth and Constance,” Journal of Australian Colonial History, Vol. 9 (2007): 38. Francis Rossi is one such example; he had worked in Bengal in 1815, arranging for the transportation of Indian convicts to Mauritius. In 1817 he was appointed general superintendent of the convict department in Mauritius. In 1824 he was appointed superintendent of police in New South Wales, taking up the post in Sydney in 1825. Hazel King, “Rossi, Francis Nicholas (1776–1851),” Australian Dictionary of Biography, National Centre of Biography, Australian National University, http://adb.anu.edu.au/biography/rossi-francis-nicholas-2610/text3595, published first in hardcopy 1967, accessed online 9 January 2019. In his position as superintendent of police in New South Wales, Rossi chose to assign some of the transported Mauritian convicts as his own domestic servants. Clare Anderson has noted how Rossi’s appointment was a “neat joining up of the pan-imperial circle of convict transportation.” Clare Anderson, Subaltern Lives: Biographies of Colonialism in the Indian Ocean World, 1790–1920 (Cambridge: Cambridge University Press, 2012), p. 77. Worth noting, too, is the fact that Rossi’s wife Geneviève Sornay was one of the earliest free Mauritian immigrants to New South Wales, arriving in the mid-1820s. Edward Duyker, “Mauritians,” Dictionary of Sydney, (2008), http://dictionaryofsydney.org/entry/mauritians, accessed 9 January 2019. Mauritius had no documented indigenous population. Inhabitants introduced to Mauritius under Dutch, French and then British rule spoke a variety of languages and subscribed to various religious faiths: pagan, Muslim, Hindu, Christian. See John Addison and K. Hazareesingh, A New History of Mauritius, rev. ed. (London: Macmillan, 1984), pp. 78–82. Eilin Friis Hordvik, (PhD Diss. ), “Mauritius – Caught in the Web of Empire: The Legal System, Crime, Punishment and Labour, 1825–1845,” (Hobart: University of Tasmania, 2016), pp. 108–9, notes 148 and 149. David Quammen, The Song of the Dodo: Island Biography in an Age of Extinctions (New York: Scribner, 1996), pp. 261–274. Richard B. Allen, “Capital, Illegal Slaves, Indentured Labourers and the Creation of a Sugar Plantation Economy in Mauritius, 1810–60,” The Journal of Imperial and Commonwealth History, Vol. 36, No. 2 (2008): 153. A. J. Barker, Slavery and Antislavery in Mauritius, 1810–33: The Conflict between Economic Expansion and Humanitarian Reform under British Rule, (Houndmills: Macmillan, 1996), p. 204. Eilin Friis Hordvik, (PhD Diss. ), “Mauritius – Caught in the Web of Empire: The Legal System, Crime, Punishment and Labour, 1825–1845,” (Hobart: University of Tasmania, 2016), p. 63. “MAURITIUS,” The Australian (Sydney, NSW: 1824 – 1848), Tuesday 16 December 1845, p. 4. Clare Anderson, Convicts in the Indian Ocean: Transportation from South Asia to Mauritius, 1815–53 (London: Macmillan, 2006), p. 6. Eilin Friis Hordvik, (PhD Diss. ), “Mauritius – Caught in the Web of Empire: The Legal System, Crime, Punishment and Labour, 1825–1845,” (Hobart: University of Tasmania, 2016), p. 66. A. J. Barker, Slavery and Antislavery in Mauritius, 1810–33: The Conflict between Economic Expansion and Humanitarian Reform under British Rule (Houndmills: Macmillan, 1996), p. 153. 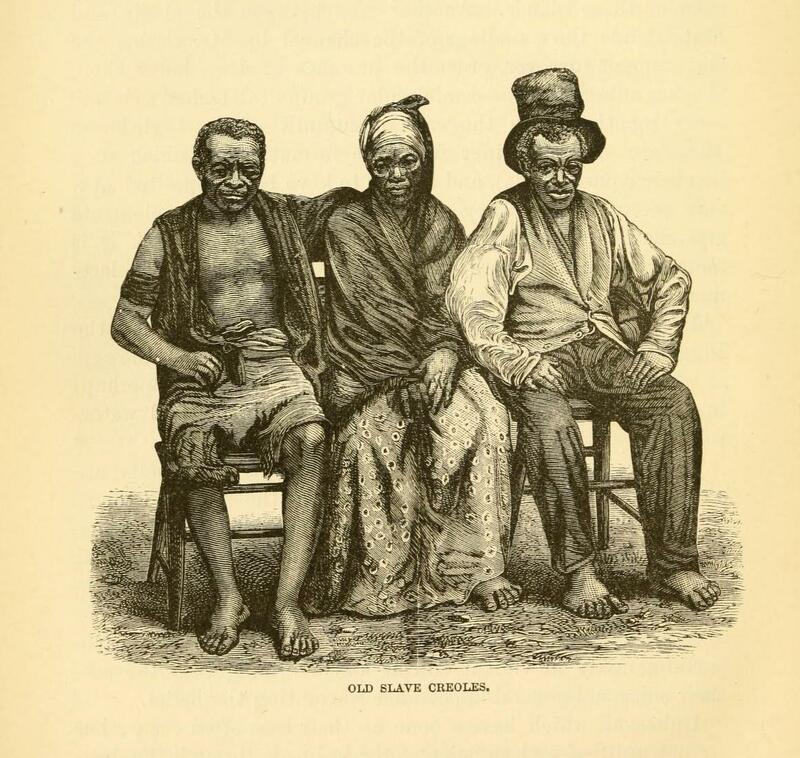 “SLAVERY—THE MAURITIUS—HILL COOLIES,” 24 July 1839 Vol. 49, CC. 721–3, UK Parliament: House of Commons Hansard, https://hansard.parliament.uk/Commons/1839-07-24/debates/c1b1e6ac-9522-4045-97a4-6b8e08c1baaf/Slavery%E2%80%94TheMauritius%E2%80%94HillCoolies, accessed online 1 February 2019. Richard B. Allen, Slaves, Freedmen and Indentured Laborers in Colonial Mauritius (Cambridge: Cambridge University Press, 1999), p. 17. Clare Anderson, “Unfree Labour and Its Discontents: Transportation from Mauritius to Australia, 1825–1845,” Journal of Australian Studies, Vol. 13, No. 1 (Summer, 1999): p. 119. K. J. Cable, “Forrest, Robert (1802–1854),” Australian Dictionary of Biography, National Centre of Biography, Australian National University, http://adb.anu.edu.au/biography/forrest-robert-2055/text2551, published first in hardcopy 1966, accessed online 9 January 2019. Parish Burial Registers, Textual records, St. John’s Anglican Church Parramatta, New South Wales, Australia. It is worth noting that between 1820 and 1834 the Catholic Church in Australia was administered from Mauritius. See F. O’Donoghue, “Australia’s Connection with Mauritius,” Australasian Catholic Record (January 1976), pp. 69–80. New South Wales Government, Tickets of Leave, 1810–1875, NRS: 12202; Item: [4/4120], (State Records Authority of New South Wales, Kingswood, New South Wales). New South Wales Government, Registers of Convicts’ Applications to Marry, NRS: 12212; Item: [Refused 1839], (State Records Authority of New South Wales, Kingswood, New South Wales). New South Wales Government, Registers of convicts’ applications to marry, NRS: 12212; Item: [4/4510 p.086]; COD: 13; Reel: 713; Microfiche: 786–788, (State Records Authority of New South Wales, Kingswood, New South Wales). New South Wales Government, Bound manuscript indents, 1788–1842, NRS: 12188, Item: [4/4018]; Microfiche: 689, (State Records Authority of New South Wales, Kingswood, New South Wales, Australia). “Convict Facts: Departures by Year,” Convict Records, https://convictrecords.com.au/facts, accessed 9 January 2019.